Relaxshacks.com: THREE Gorgeous Tiny House School Bus Conversions! 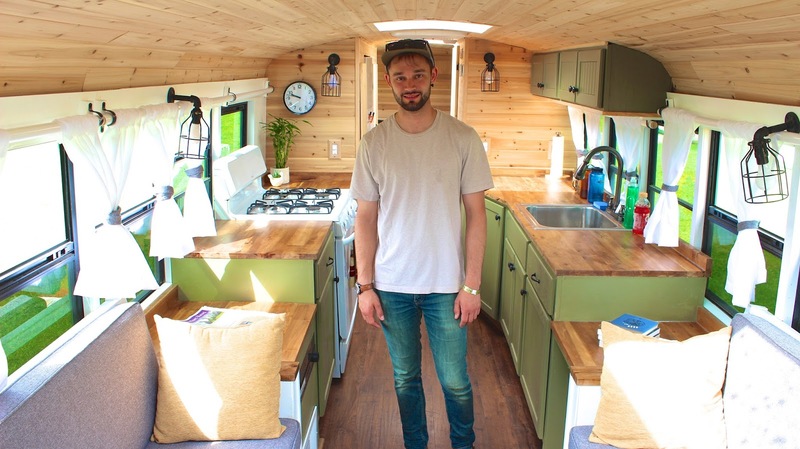 THREE Gorgeous Tiny House School Bus Conversions! Honestly, while I haven't stepped into a ton of school bus conversions (aka "Skoolies"), and have only featured a handful on this channel, this particular one still stands as one of the nicer ones I've seen. Having recently just returned from New Jersey and the Tiny House Festival that took place in Augusta (where I was a guest speaker) I figured I should share this one ASAP. School bus conversions just might be a great option when seeking a tiny and mobile life- the watertight shell of a secondhand bus is your starting point, giving you the advantage of a dry work space, security, and even lockable storage as you build. If you enjoyed those videos, PLEASE subscribe to our youtube channel here! Thanks!